Not every home can have a backyard or deck for grilling, so for those that lack good outdoor space this compact cooker could be the perfect way to entertain guests. 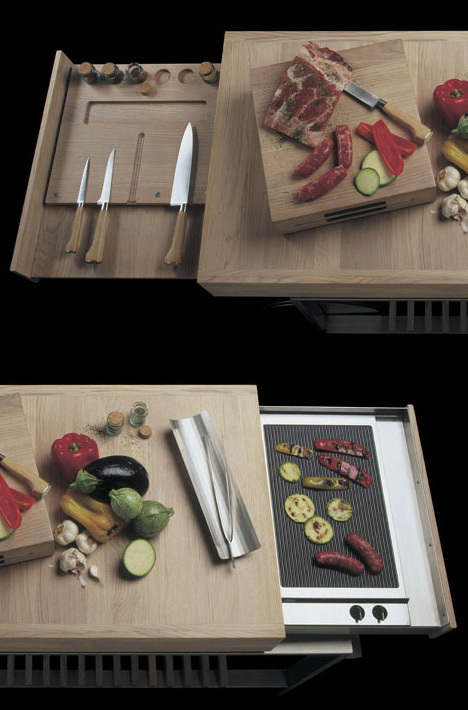 From Gunni, a European manufacturer that knows small spaces, this unit acts like a regular kitchen island on wheels when not in active use, but slides open to reveal additional functionality on demand. 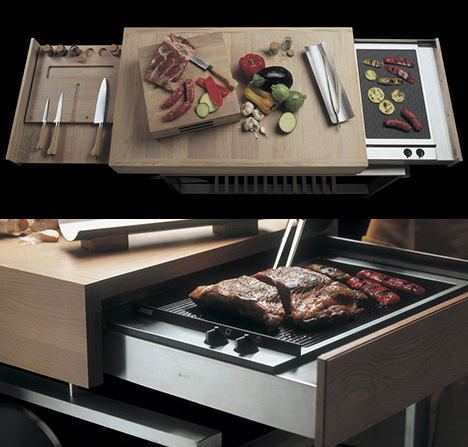 On one side sits a drawer for knives and spices, while the other features a platform for grilling up steaks, sausages, vegetables and more. 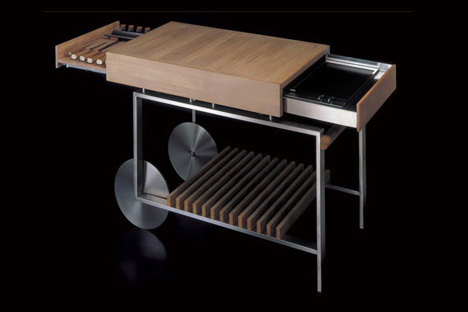 Shelf storage below also serves to stabilize the elegant wood-and-steel structure.